The teaching fellows bring unique gifts, broad experience, and helpful perspective to Ligonier Ministries. They serve Ligonier by helping us remain true to our founding purpose as well as by informing and articulating our future outreach. Dr. R.C. Sproul and the board gathered this team of men to aid in present and future ministry. Trusting God for biblical and theological fidelity (2 Tim. 2:2), we are grateful for this group of gifted teachers. Dr. Sinclair B. Ferguson is a Ligonier Ministries teaching fellow and Chancellor’s Professor of Systematic Theology at Reformed Theological Seminary. He previously served as senior minister of the First Presbyterian Church in Columbia, S.C., and he has written more than two dozen books, including The Whole Christ, The Holy Spirit, In Christ Alone, and Devoted to God. Dr. W. Robert Godfrey is a Ligonier Ministries teaching fellow and president emeritus and professor emeritus of church history at Westminster Seminary California. He is the featured teacher for the Ligonier six-part teaching series A Survey of Church History. His many books include God’s Pattern for Creation, Reformation Sketches, An Unexpected Journey, and Learning to Love the Psalms. Dr. Burk Parsons is senior pastor of Saint Andrew’s Chapel in Sanford, Fla., chief publishing officer for Ligonier Ministries, editor of Tabletalk magazine, and a Ligonier Ministries teaching fellow. He is an ordained minister in the Presbyterian Church in America and director of the Church Planting Fellowship. He is author of Why Do We Have Creeds?, editor of Assured by God and John Calvin: A Heart for Devotion, Doctrine, and Doxology, and cotranslator and coeditor of A Little Book on the Christian Life by John Calvin. He is on Twitter @BurkParsons. Dr. Derek W.H. 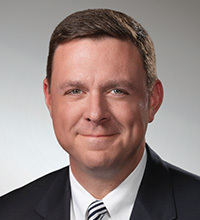 Thomas is senior minister of the First Presbyterian Church in Columbia, S.C., and Chancellor’s Professor of Systematic and Pastoral Theology at Reformed Theological Seminary. 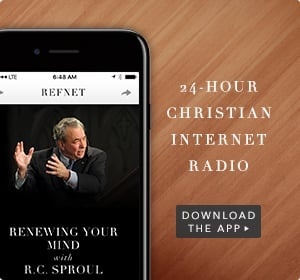 He is a Ligonier Ministries teaching fellow and author of many books, including How the Gospel Brings Us All the Way Home, Calvin’s Teaching on Job, and, with Dr. Sinclair B. Ferguson, Ichthus: Jesus Christ, God’s Son, the Saviour. 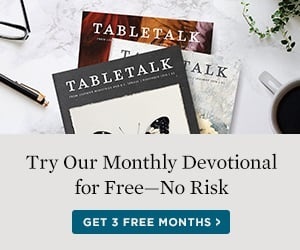 Receive regular ministry news, special offers, and updates from Ligonier.